With so many horror movies out there, choosing what to you spend your time watching can be an intimidating and daunting task. How do you know what to watch? Sometimes there’s a particular element to a film that makes its synopsis pop out at you. For example, I love supernatural films, so just the mention of the word “ghost” is usually enough to get me to hit play on any given title. Other times, though, I’m drawn to a film simply because of the people involved, whether that be the writer, director, or an actor, regardless of what the movie is, or how big or small a particular person’s role is. Often if I find an actor I like, I’ll seek out every movie of theirs to see them on screen again and enjoy the different roles they play. They don’t necessarily have to be good looking or have that A-list appeal–there are some actors that just have a certain charm about them that draws me to them every time. So here, I’ve chosen five completely different actors that I’ll watch in any movie they’ve done. Vincent Price is still one of the biggest and most noteworthy kings of horror, starring in some truly classic and seminal films in the genre. His many pivotal performances are untouchable even today. Price had such a distinct voice and brought such a sense of glee to every one of his performances. 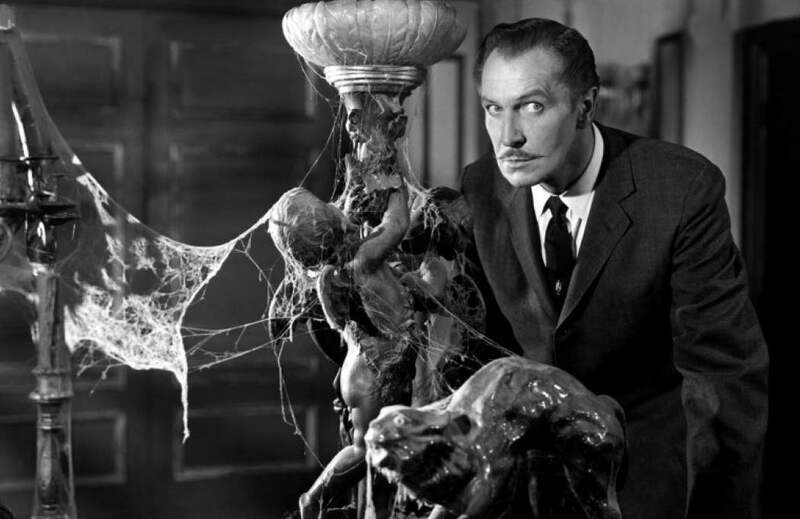 His involvement in films like The Last Man on Earth, House on Haunted Hill, The Tingler, and House of Wax, to name a few, have made those (and countless other) films beloved by horror fans everywhere. The thing that most attracts me to Price, however, is the obvious joy that he took in his status as a horror icon. He loved being in these movies and playing these parts, and it completely shows. His voiceover and maniacal laugh in Michael Jackson’s Thriller video seals the deal on this point. And I can’t help but grin like an idiot every time I hear it. The root of my Chucky-phobia as a child after seeing the first Child’s Play film (which is now my favorite horror movie of all-time) stems not only from the pint-sized terror’s inherent creepiness as a killer doll, but also from the sheer intensity of Brad Dourif’s voice acting behind the scenes. 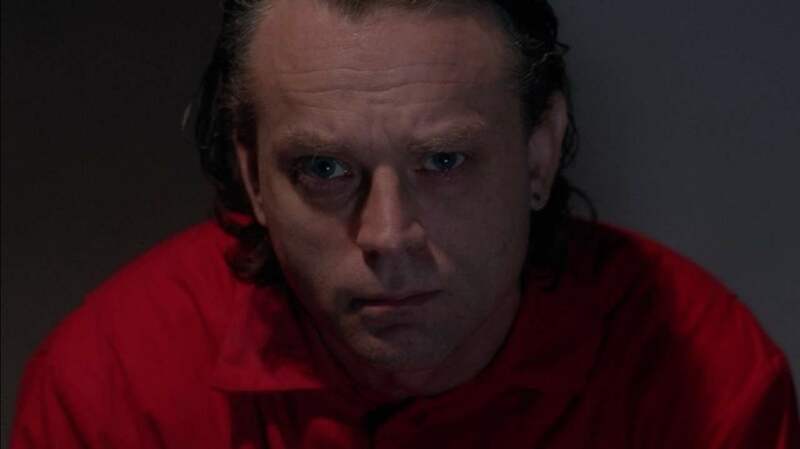 I’ve since come to really admire Dourif as an actor–while still being a little freaked out by his voice–as I’ve seen him in subsequent films. His very first role earned him an Academy Award nomination for Best Supporting Actor for his portrayal of Billy Bibbit in One Flew Over the Cuckoo’s Nest. And he hasn’t stopped working since, appearing in a variety of films and television shows, often playing characters that are just a little bit out there. Horror fans may know and love him best from the Child’s Play films, but he’s also turned out sympathetic performances in Rob Zombie’s Halloween and Halloween II; been completely crazy in Graveyard Shift; and his uncredited role in Urban Legend is arguably the best scene in that film. With those wild eyes and especially that voice, seeing Dourif’s name on a cast list gives me just that much more incentive to watch a film. Don’t miss him in: Death Machine. It’s a sort of cheesy, but still highly entertaining sci-fi film from 1994 that is made all the better with Dourif as an eccentric scientist who, from the fear and anger of being fired, sends his killer robotic invention called the Warbeast after a group of people who have infiltrated his company’s building. He’s kind of quirky and a little odd, but he’s also completely lovable. 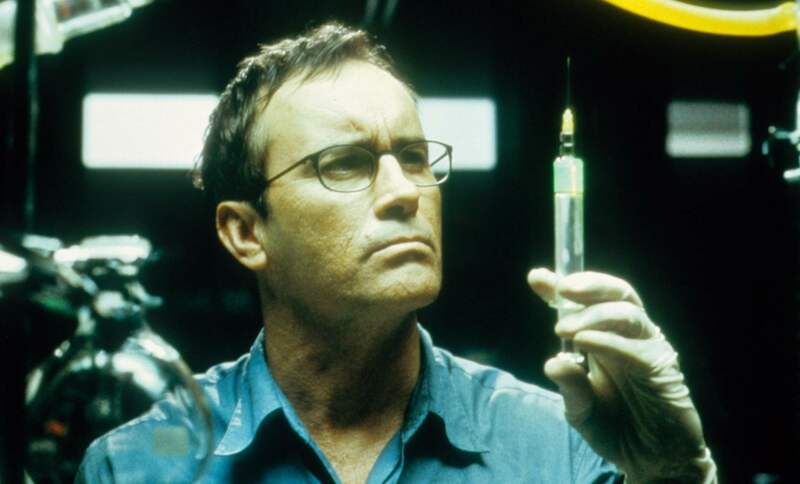 Jeffrey Combs has a uniqueness as an actor that is perfect for the world of horror, and especially horror comedy. You may not see him in many roles as the leading man, but you’ll find him lending his aforementioned quirky touch to numerous offbeat and memorable characters. Most notable among these for me are the obvious choices: as Dr. Herbert West in Re-Animator, and as Special Agent Milton Dammers in The Frighteners, the latter perhaps being my favorite because he is just insanely funny in that movie. But fans also shouldn’t discount Combs’s somewhat darker role in Castle Freak, or even his brief appearance in the House on Haunted Hill remake (and its sequel). When the film Would You Rather popped up in my Netflix suggestions, I gave it a chance just to see Combs in action again, and was definitely not disappointed with his performance or the movie itself. Combs really commits to his roles, and his lively facial expressions and physicality always make him a joy to watch. Don’t miss him in: Motivational Growth. You won’t actually see Combs in this odd indie comedy about a depressed agoraphobic living in his filthy apartment, but rather you will hear him as the voice of the advice-giving mold in the man’s bathroom. I promise, this movie is way better than you think it is! 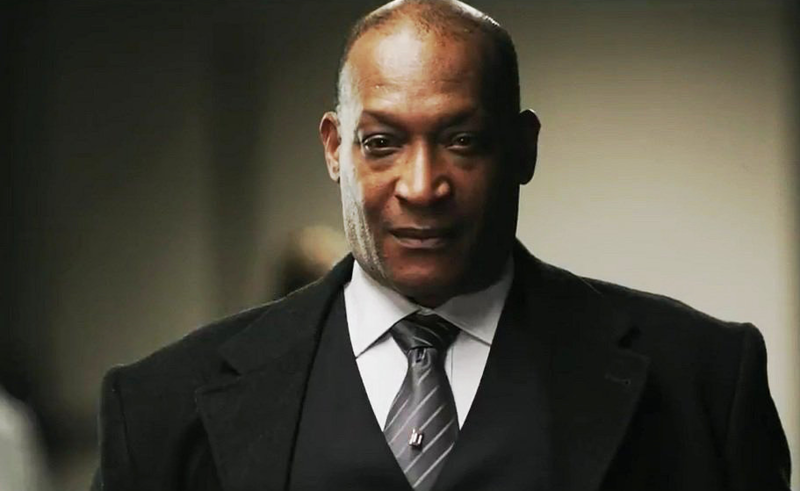 Tony Todd has appeared in a vast amount of horror films, and I will watch all of them just to see this behemoth of an actor steal all the scenes in which he appears. He is, of course, best known as the eponymous Candyman in the film franchise of the same name, but who could forget how he completely killed the role of Ben in Tom Savini’s remake of Night of the Living Dead? Or offered advice to the doomed teens as the mysterious mortician in the Final Destination films? His hulking 6’5″ frame makes him the perfect intimidating figure for action roles in films like The Rock, or the television series 24. Adding to this, Todd is an actor with a very distinctive, deep, gravelly voice that I could listen to all day. In contrast to his physical presence, Todd is known for being an incredibly kind and welcoming man to his peers and his fans, and you just can’t help but love someone like that. Todd has more than 100 television and film credits to his name, and has also lent his vocal talents to several video games. Don’t miss him in: Sushi Girl. Todd was an executive producer and also starred alongside Mark Hamill for this fun and surprising crime drama, where a group of thieves (with Todd as their leader) gather together for dinner one night to welcome a friend who just got out of prison–and to find out what happened to a cache of diamonds they stole six years ago. Being a huge fan of Buffy the Vampire Slayer, I was first introduced to Nathan Fillion when he appeared in several episodes of the seventh season of the show as the murderous preacher Caleb. Fillion was more than a little scary and unpredictable in that role, but at the same time, there was that unmistakable charm that would later define Fillion both in his acting career and his real life. 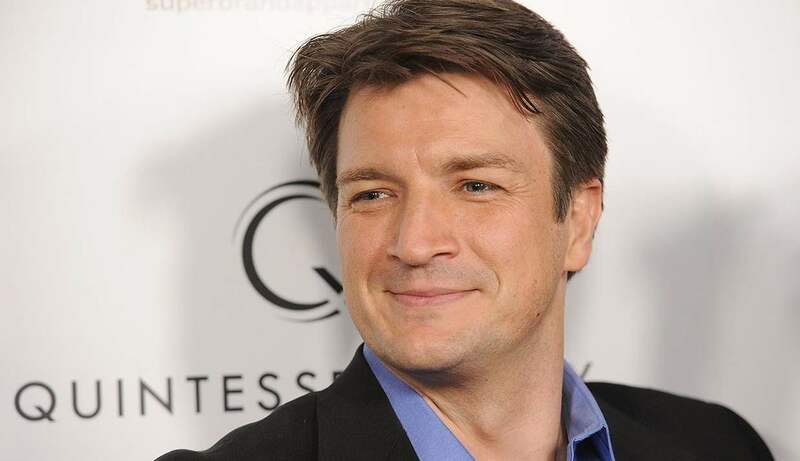 While much of the world knows him for his starring role on the ABC series Castle, to me he will always be memorable for his roles in Buffy, Firefly and Serenity. Fillion has proved with both of his roles in the Whedonverse that he is capable of straight comedy and intense drama, winking at the audience one minute and absolutely breaking our hearts the next. He lent his well-known comedy chops to James Gunn’s Slither as a somewhat reluctant hero fighting alien slugs in a small town. Fillion’s charisma is palpable both on screen and off, and I can’t wait to see what else he has in store for us as his career continues. There’s a reason everybody loves him. Don’t miss him in: White Noise 2: The Light. If you didn’t think much of the previous spooky thriller about EVP, believe me when I say that White Noise 2 is a much better film with a great storyline and concept, carried effectively by Fillion as the protagonist who suffers a near-death experience. Sound off in the comments section below! Who are some of your favorite horror actors that you’ll watch in anything?